CREO QUE LA EXPERIENCIA EN ESTE TRABAJO NOS PERMITE ENTRE OTRAS COSAS RECONOCER EJERCICIOS, MÉTODOS EFICACES, EXIGENCIAS ACTUALES DEL DEPORTE, PARTICULARIDADES DE LOS JUGADORES DE LA ÉPOCA, NECESIDADES DE MAS HORAS E INTENSIDADES MAS ALTAS EN LA PREPARACIÓN FÍSICA Y AMPLIO DESARROLLO TÉCNICO TÁCTICO, SABER QUE LA GRAN MAYORÍA DE LOS JUGADORES NO TIENE DESARROLLADAS LAS CAPACIDADES COMO LOS MEJORES, QUE ESTOS CON SOLO ENTRENAMIENTOS NORMALES SON BRILLANTES, PERO A LA MAYORÍA NO LE ALCANZA PARA COMPETIR EN SUS MISMAS CONDICIONES, ETC. EMPECE A TRABAJAR COMO PREPARADOR FÍSICO EN DIFERENTES DEPORTES DESDE 1973, A LOS 23 AÑOS. 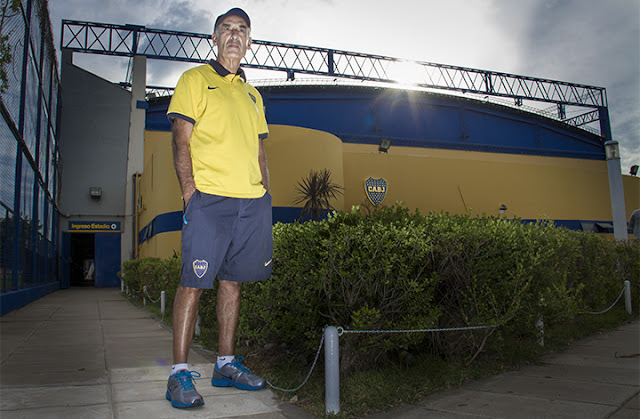 EN EL FÚTBOL DESDE 1982 Y AUN CONTINUO, AHORA COMO COORDINADOR DE PREPARADORES FÍSICOS DEL FÚTBOL JUVENIL DEL CLUB BOCA JUNIORS. DESPUÉS DE TANTOS AÑOS ENSAYANDO, ACERTANDO Y NO, DEBATIENDO Y ESTUDIANDO, QUIERO EXPRESAR MI MIRADA ACERCA DE ESTA FUNCIÓN. 1. CADA JUGADOR REPRESENTA A UN FENOTIPO, ES DECIR TIENE SU PERFIL ATLETICO Y FISIOLOGICO, SU FORMA, SU CARÁCTER, SU CRITERIO PARA LA DISPUTA, PARA EL ENTRENAMIENTO, PARA LA VIDA. EN EL ASPECTO ATLETICO ENCONTRAMOS AL VELOZ, AL VELOZ Y RESISTENTE, AL POTENTE, AL FUERTE, AL RESISTENTE, AL FUERTE Y RESISTENTE, AL POTENTE Y VELOZ, ETC. PERO NO TODOS TIENEN VIRTUDES TAN MARCADAS. ESO SI, PARA JUGAR A BUEN NIVEL PROFESIONAL ALGUNA DE ESTAS VIRTUDES HAY QUE TENER. Y CADA UNO TIENE SUS DEFICIENCIAS, QUE POR LO GENERAL SON LAS CAPACIDADES ANTAGONICAS A LAS VIRTUDES. 2. EL ENTRENADOR DEBE TENER EN CLARO LA IMPORTANCIA DE CADA PERFIL GENETICO. ESE DETALLE SERA MUY IMPORTANTE PARA UBICAR AL JUGADOR EN UNA FUNCION QUE LE SEA AFIN A SU CARACTERISTICA FISICA. A CADA UNO LE CAE MEJOR UN PUESTO DE ACUERDO A SU CAPACIDAD ATLETICA, Y NO LE VAN BIEN OTROS. POR EJEMPLO, LOS DEFENSORES RESUELVEN MEJOR SI SON VELOCES Y POTENTES, LOS LATERALES SI SON VELOCES Y RESISTENTES, LOS MEDIOCAMPISTAS SI SON FUERTES Y RESISTENTES, Y LOS DELANTEROS SI SON POTENTES, AGILES Y VELOCES. 3. PRIMERO DEBEMOS TENER EN CUENTA QUE ESA VARIEDAD DE FENOTIPOS ES REAL. PARA HACERLES UN POQUITO BIEN A CADA UNO, A PESAR DE SUS DIFERENCIAS, EN LAS SESIONES DE PREPARACION FISICA GRUPAL DEBERIAN INCLUIRSE EJERCICIOS Y METODOS QUE SIRVAN UN POCO A TODOS, ES DECIR USANDO EJERCICIOS GENERALES Y ESPECIFICOS EN LOS QUE SE COMBINEN VELOCIDAD, FUERZA, POTENCIA, AGILIDAD Y RESISTENCIA. PERO ADEMAS DEBERIA HABER OTROS TRABAJOS INDIVIDUALES ENCAMINADOS A LOS REQUERIMIENTOS COMPETITIVOS DE CADA JUGADOR. EL PROBLEMA ES QUE EN EL TIEMPO QUE HABITUALMENTE SE UTILIZA EN LAS SESIONES DEL FUTBOL NO PUEDEN INCLUIRSE TANTAS NECESIDADES GRUPALES E INDIVIDUALES. SE TRATA DE LOGRAR MUCHO CON EJERCICIOS QUE EXIGEN UN POCO A CADA ASPECTO, TANTO DESDE LO FISICO COMO DESDE LO TECNICO TACTICO. PERO POR MAS QUE LE DEMOS VUELTAS NO ALCANZA PARA OPTIMIZAR A TODOS LOS ASPECTOS. FALTARIA MAS TIEMPO. 4. 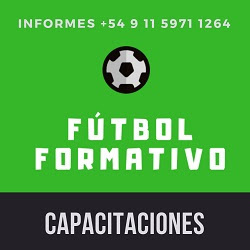 TENIENDO EN CUENTA LAS EXIGENCIAS FISICAS EN CADA PUESTO DEL EQUIPO RESULTA MUY IMPORTANTE UBICAR EN CADA LUGAR DEL CAMPO A JUGADORES CON CAPACIDADES ELEVADAS PARA CUMPLIR MUY BIEN SU FUNCION, Y ENTRENARLOS DE ACUERDO A ELLO. 5. UN JUGADOR PARA SER PROFESIONAL DEBE JUGAR CON ACTITUD MENTAL Y APTITUD FISICA. UN JUGADOR CON MUCHA ACTITUD A VECES COMPENSA ALGUNAS CARENCIAS DE APTITUD. LO QUE NO SE PUEDE NEGOCIAR ES LA FALTA DE ACTITUD. LOS CONTROLES CON GPS DEMUESTRAN QUE LOS DE MEJORES RENDIMIENTOS FISICOS SON LOS DE AQUELLOS QUE APLICAN UNA GRAN ACTITUD COMPETITIVA A UNA GRAN APTITUD FISICA . 6. 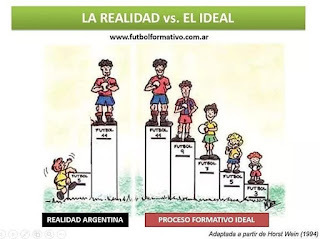 LAS EVALUACIONES FISICAS EN ENTRENAMIENTO Y COMPETENCIA SIEMPRE TIENEN COMO REFERENCIA RENDIMIENTOS DE LOS MEJORES FUTBOLISTAS DEL MUNDO. AQUEL QUE TENGA GRANDES ASPIRACIONES LAS DEBE CONOCER Y TENERLAS BIEN EN CUENTA. ESTAR BIEN FISICAMENTE ES ALGO MAS QUE SENTIRSE BIEN. 7. EL DINERO, LA FAMA Y EL PLACER NO PUEDEN SER MAS IMPORTANTES QUE EL RENDIMIENTO COMPETITIVO EN LA CORTA VIDA DEPORTIVA DE UN FUTBOLISTA PROFESIONAL. 8. EL DESEO DE TRASCENDER Y LA RESPONSABILIDAD PARA ENTRENARSE Y LLEVAR UNA VIDA DEPORTIVA O SANA NUNCA DEBEN SER DESCUIDADOS POR UN FUTBOLISTA. 9. VIDAS EJEMPLARES DE DEPORTISTAS DE ALTO NIVEL DEBEN TOMARSE COMO EJEMPLOS PARA TENER UNA CARRERA PROLONGADA Y EXITOSA. EL ÉXITO DEBE SOSTENERSE EN MUCHOS AÑOS PARA QUE TANTOS ESFUERZOS VALGAN LA PENA. 10. EN EL FUTBOL JUVENIL SOLO ALGUNOS JUGADORES TIENEN EL PERFIL GENETICO PARA ALCANZAR ALTOS NIVELES COMPETITIVOS. CADA JUGADOR AMATEUR ES COMO UNA ESCULTURA A LA QUE HAY QUE PERFECCIONAR EN TODOS LOS ASPECTOS DEL RENDIMIENTO. SI TIENE VIRTUDES, SEGURAMENTE HABRA QUE MEJORAR OTROS ASPECTOS PARA QUE SU RENDIMIENTO SIGA CRECIENDO. 11. LOS AÑOS DE LA ETAPA AMATEUR DEBEN UTILIZARSE PARA LLEGAR AL INICIO DE SU MADUREZ GENERAL Y FUTBOLISTICA CON ESA ESCULTURA BASTANTE BIEN DELINEADA. ESA EDAD ES LA MAYORIA DE LAS VECES A LOS 21 AÑOS, CUANDO EL JOVEN PUEDE MOSTRAR UN RENDIMIENTO FISICO, MENTAL, TECNICO Y TACTICO ACORDES A LAS EXIGENCIAS DE PRIMERA DIVISION, SIEMPRE Y CUANDO YA HAYA ACUMULADO VARIOS AÑOS DE TRABAJO EXIGENTE. HE VISTO CUAN DETERMINANTE PARA SU INSERCION EN EL PROFESIONALISMO ES LA INTENSIDAD EN LOS ENTRENAMIENTOS DE FUERZA MAXIMA, POTENCIA Y VELOCIDAD RESISTENCIA DESDE LOS 18 A LOS 21 AÑOS. CON ESTO QUIERO DECIR QUE EL ARRIBO PRECOZ AL PLANTEL PROFESIONAL HACE QUE POR LO GENERAL NO TRANSITE POR ESTAS EXIGENCIAS FORMATIVAS. LA REALIDAD MARCA QUE LOS JUGADORES QUE LEVANTAN MAS DE 100 KG. EN SENTADILLA PROFUNDA Y PUEDEN CORRER A ALTAS INTENSIDADES VARIAS VECES ENTRE 50 Y 200 M. SE ADAPTAN SIN PROBLEMAS A LAS EXIGENCIAS FISICAS DE LOS ENTRENAMIENTOS Y PARTIDOS DE PRIMERA. 12. EL JUGADOR JUVENIL : ES IMPORTANTE QUE COMPRENDA QUE INGRESA AL PLANTEL PROFESIONAL O AL DE RESERVA ES PARA ACRECENTAR SU RENDIMIENTO GENERAL Y SUPERAR NIVELES COMPETITIVOS ADONDE NO EXISTEN TECHOS, SINO QUE UNO DEBE ELEVARLOS CONTINUAMENTE. DEBEN SER MOTIVO DE CONSTANTE BUSQUEDA DE GLORIA Y DE ESFUERZO PARA COMPETIR ENTRE LOS MEJORES. NO SE LLEGA AL PLANTEL DE PRIMERA, SINO QUE ALLI SE EMPIEZA A TRANSITAR LA PENDIENTE MAS DIFICIL. 13. EL CONTROL HABITUAL DE PESO CORPORAL EN ARMONIA CON LOS PORCENTAJES MUSCULAR Y ADIPOSO ES MUY IMPORTANTE PARA CORREGIR FORMAS DE NUTRICION Y ENTRENAMIENTO. 14. POR LO GENERAL EL JUGADOR Y SU ENTORNO SE PREPARAN MENTALMENTE PARA EL TRIUNFO (ILUSION) , PERO NO PARA ENFRENTAR LA GRAN CANTIDAD DE MOMENTOS DE FRACASO (DESILUSION). ES IMPORTANTE QUE NOSOTROS LOS PREPAREMOS PARA CONVIVIR CON LOS MISMOS ESTADOS DE ANIMO Y DESARROLLAR LA CAPACIDAD DE APRENDER DE ESOS SUCESOS Y ESFORZARSE PARA SUPERARLOS RAPIDAMENTE. 15. LOS JUEGOS REDUCIDOS EN ESPACIO Y NUMERO DE JUGADORES TIENEN SU MAYOR EFICACIA EN EL PASE Y LA RESISTENCIA DE MEDIANA INTENSIDAD. SALVO CON PRECISOS REQUISITOS COMPETITIVOS SE PUEDEN ALCANZAR MAYORES EXIGENCIAS. 16. EL JUEGO LIBRE ES MUY NECESARIO PARA QUE EL JUGADOR DE HOY SE ACOSTUMBRE A RESOLVER SITUACIONES SIN AUTORIDADES Y GASTAR ENERGIA SIN PRESIONES. 17. ES BUENO PONER COMO EJEMPLOS DE PROFESIONALISMO A JUGADORES Y DEPORTISTAS DEL MOMENTO CON GRAN DEDICACION A SU DEPORTE. 18. DESDE NIÑO DEBE APRENDERSE QUE PARA ASPIRAR A GRANDES LOGROS SE DEBEN DEJAR DE HACER COSAS QUE PUEDEN OBSTACULIZAR EL CAMINO . EN EL CASO DEL FUTBOLISTA ES IGUAL, POR ESO LA EDUCACION QUE RECIBA EN LACASA Y EN EL CLUB SON DETERMINANTES. AUNQUE MUCHO LO LLEVA ADENTRO CADA INDIVIDUO.